Efforts by the current administration to limit entry to the United States by refugees as well as immigrants from Muslim majority countries have been disheartening. Nevertheless, ReWA will continue our work to promote inclusion, independence, and strong communities as well as to advocate for social justice, public policy changes, and equal access to services. 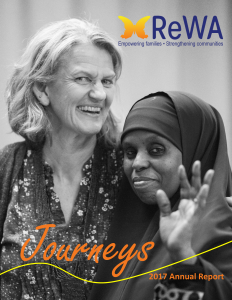 For 32 years, ReWA has been a community builder, friend, advocate, and ally to refugees arriving from all over the world in search of peace, security, and the opportunity to build better lives. 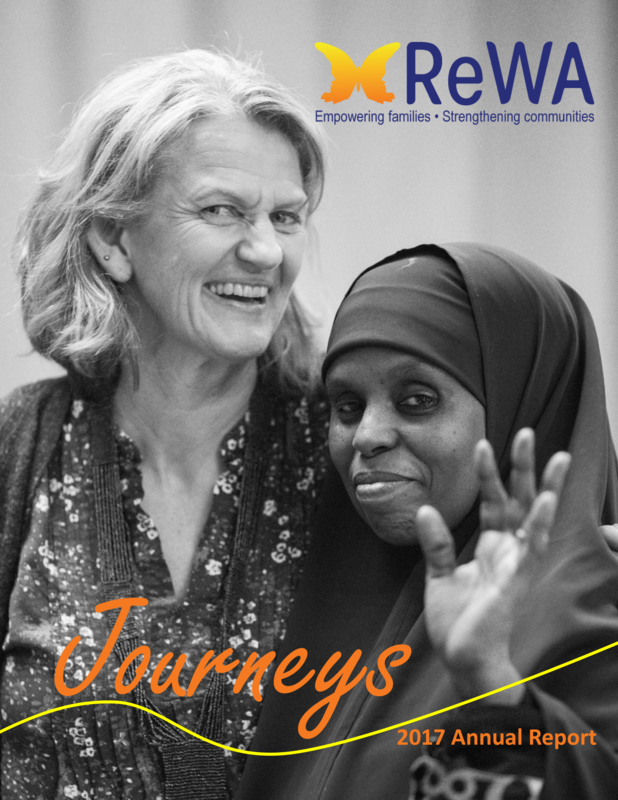 Thanks to our avid supporters, dedicated board of directors, committed founders, and compassionate staff, in 2016, ReWA helped over 9,000 refugees and immigrants on their paths to self-sufficiency. While every refugee’s story is different and their struggles deeply personal, they all share a common thread of uncommon courage—the courage not only to survive, but to thrive. I am equally inspired by the compassion each of you has shown for refugees and immigrants in our community. Your support and encouragement has offered all of us at ReWA comfort and hope during these politically uncertain times.